Madison Night Market is a celebration of Madison’s unique and inspiring creative culture. Vendors showcase handmade products, local art, artisan gifts, prepackaged foods, and fresh produce. The event includes live music, giant board games, special visiting food carts and pop-up restaurant experiences. The Market is presented by Madison’s Central Business Improvement District (BID) in partnership with the City of Madison. The Market, located along West Gilman Street is held in the heart of downtown Madison. 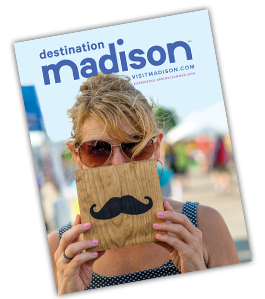 From 6pm – 11pm visitors and downtown residents are invited to come celebrate all things Madison! LOCATION: Where State Street meets Gilman Street, at Lisa Link Peace Park and throughout the downtown district!